Following President-elect Donald Trump’s promise to repeal and replace Obamacare, a new poll finds that more Americans want government-provided health insurance, with demand growing not only among Democrats, but poorer Republicans too. 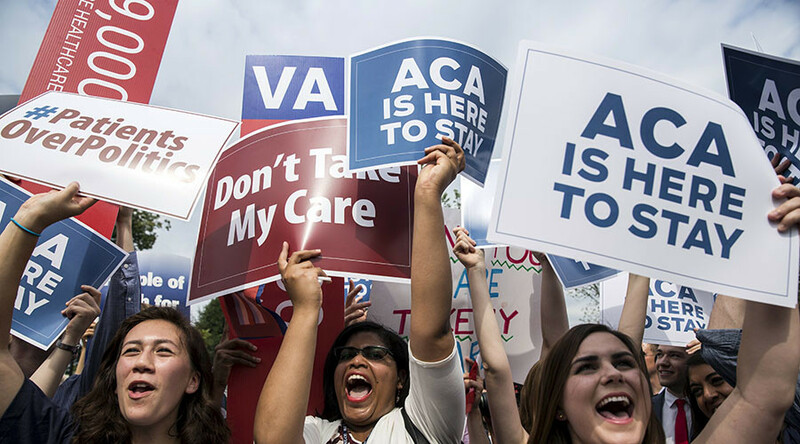 New findings from the Pew Research Center released on Friday show that an overwhelming majority, 60 percent, of Americans agree that it is the responsibility of the federal government to make sure all Americans have healthcare coverage. These numbers have increased since 2014, when only 41 percent of Americans believed so. Last year, 51 percent held that view. The poll divided Republicans and Democrats, however. Eighty-five percent of Democrats said the federal government should be responsible for health insurance, compared to just 32 percent of Republicans. However, among Republicans who make less than $30,000 a year, 52 percent are in favor of government health care. That is a 21 percent increase from 2016, when only 31 percent wanted the government to take part in their health care. More than one-third of Republicans who make between $30,000 and $75,000 now favor a government healthcare system, a 20 percent uptick from 2016, when it was just 14 percent. Only 18 percent of high-income Republicans who make over $75,000 a year agree that the government should provide health care insurance for all, a slight increase from 16 percent last year. Among Democrats, 81 percent thought that health care insurance should either be delivered through a single-payer system, or at least a public option for all Americans. Among Republicans, 56 percent agreed that Medicare and Medicaid should remain intact, and 10 percent disagreed with all forms of government provided health insurance. A national Quinnipiac University poll released on Thursday also shows a major divide, as 86 percent of Republicans want Trump to repeal Obamacare, and 78 percent of Democrats say he should not.